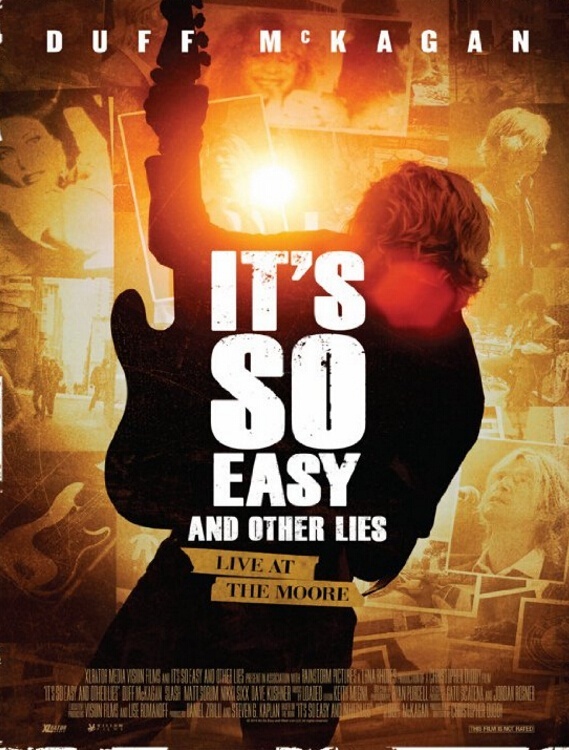 Directed by Christopher Duddy, the project sees McKagan telling his life story in a live performance setting at the famed Seattle venue in 2013. The Seattle appearance was part of a promotional tour by McKagan in support of his 2012 memoir, “It's So Easy (And Other Lies)”, which debuted on the New York Times’ Hardcover Nonfiction Best Sellers list at No. 17. The documentary is being screened in 50 US cities now ahead of the its theatrical release in Los Angeles on June 3. McKagan and Rose will regroup with Slash to launch a partially-reunited Guns N’ Roses summer stadium tour of North America at Ford Field in Detroit, MI on June 23. The band’s 2016 lineup is rounded out by Richard Fortus, Dizzy Reed, Frank Ferrer and Melissa Reese.